Our map showed that there was a large park near to our accommodation in Faro, so one afternoon we decided to walk down to it and have a wander around. Imagine our surprise to find hundreds of Australians living in the park! These Australians aren't new immigrants - they have been living here in the park for generations. That may sound pretty bad, but humans aren't the only species of Australians in Portugal. When we got to the park we found that it was full of gum (eucalyptus) trees! 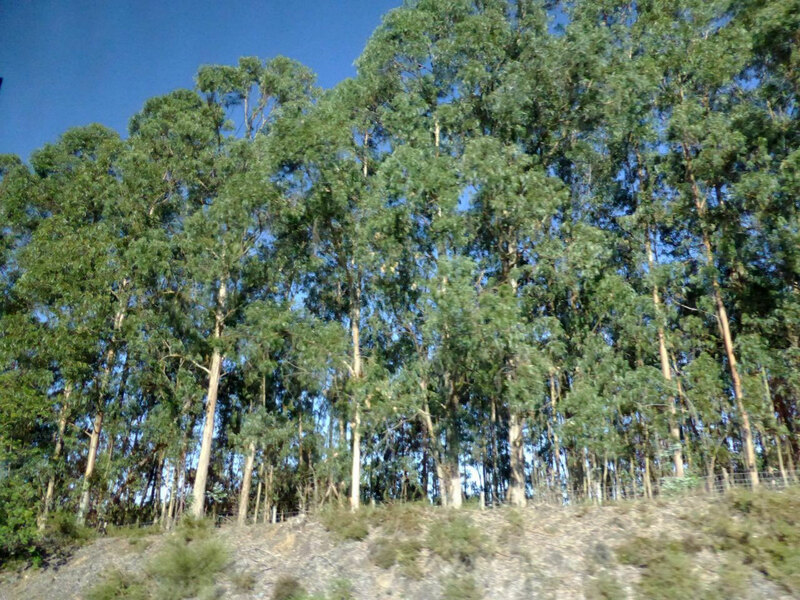 Actually, this is no big surprise; we saw many gum trees when we were in Spain in April; however, here in Portugal they grow in huge numbers, many in big plantations that roll over the surrounding hills as you bus along the motorways (they use them for wood pulp). 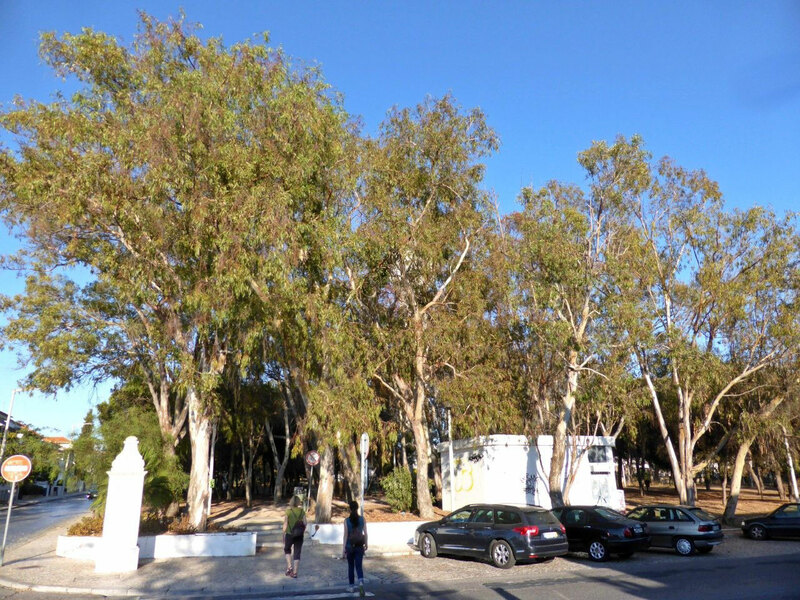 This makes a mockery of the theme of the popular Aussie song sung by John Williamson "Among the Gum Trees", which extols the virtues of living among the gum trees in Australia rather that anywhere else in the world; well, you can easily live among the gum trees here in Portugal, as many do! 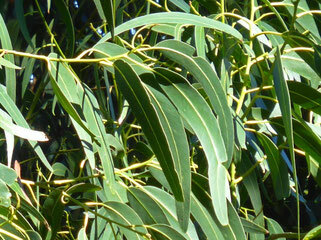 An archaeologist tour guide told us that the gum trees are a big problem here as they are very successful at competing for ground water; I'm certainly aware of this from seeing the big circles of brown dead grass around our gum trees at home, during extended dry weather. 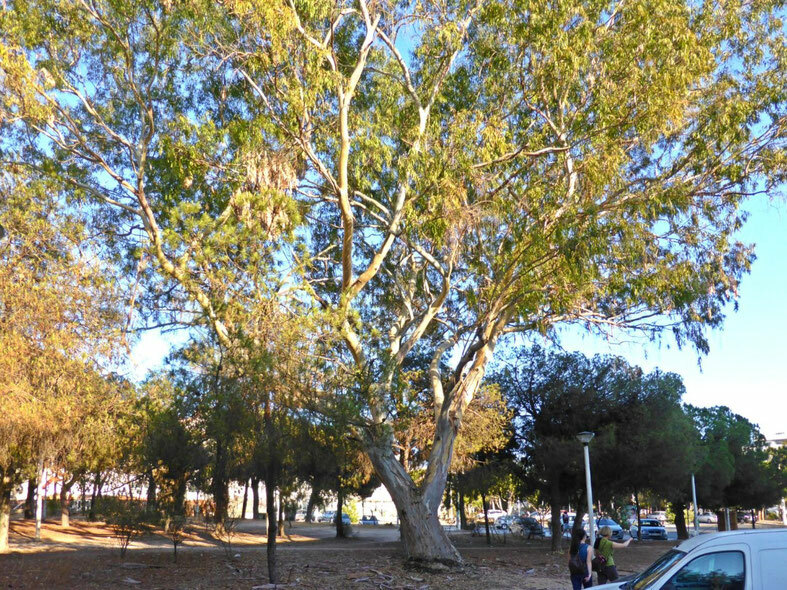 They easily take over from native vegetation here as they can take all the water from the ground in the long dry Mediterranean summer. So how do I feel about this situation? Well, if i was the nostalgic type, I'd say "How lovely, it's just like being at home, and it's reliving my homesickness." I may even feel a strange mixture of embarrassment and pride that some Aussie trees are dishing out what the Australian landscape has suffered so much of with the introduction of many invasive and destructive feral species. However, I'm not the nostalgic type, I don't get homesick, and I'm not vindictive or prone to useless guilt. But I've travelled to the other side of Earth, and when I look out of the window of the bus as I ride through the Portuguese countryside, the only thing that tells me I'm not in Australia is that the bus is on the right-hand side of the road! Ha ha, sucked you in, Elea! Thanks for you comment. Ha Ha the first few lines of your introduction had me visualising illegal hippie squatters from the 70's living gypsy lives in Portugal, having perhaps left the Daintree for a more exotic landscape. But I read on. I believe Italy imported gum trees to help deal with swamp land and disease bearing mosquito issues.